Wiley Rein Insurance partner Gary P. Seligman has been named a "Rising Star" by Law360, as a result of having "earned a reputation as a client that big insurance companies request by name." The honor goes to attorneys under the age of 40 whose accomplishments in major litigation "belie their age." In profiling Mr. Seligman, Law360 recognized his "unusual ability to dissect complicated cases and for his track record of big wins." 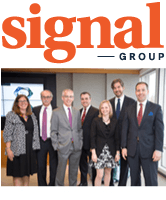 "I think there's something about being surrounded by really talented colleagues," Mr. Seligman told the publication, while referring to the depth and breadth of the firm's 50-lawyer Insurance Practice, which Law360 named Group of the Year in 2011. "You almost learn by osmosis." Law360 reported that Mr. Seligman takes the leading role in major coverage litigation. The publication also noted that Mr. Seligman's "deep knowledge of the ins-and-outs of insurance law in multiple jurisdictions has made him a go-to lawyer for complicated cases" and that insurers ask Mr. Seligman to undertake the "technical, potentially high-stakes work" of writing their policies. "He takes on some of our biggest and most sprawling matters," Insurance chairman Dan Standish told Law360. "Gary has a deep substantive knowledge of insurance law. We often joke that he carries around a treatise inside his head." Mr. Standish added that Mr. Seligman's career "has been essentially flawless" and mentioned a research memo Mr. Seligman drafted as a young associate. "It was a masterpiece and he's been doing the same quality of work ever since," Mr. Standish told Law360. "I think the largest challenge for both Gary and for us is that we can't clone him. There are so many clients and colleagues who would like his time." Shortly after joining Wiley Rein in 1999, Mr. Seligman took a year hiatus to serve as a law clerk for Judge Ellsworth A. Van Graafeiland of the U.S. Court of Appeals for the Second Circuit. Mr. Seligman was promoted to partner in 2011.